Just because we know you've always been curious about what all that "stuff" is on your credit card front and back, we thought we'd give a basic anatomy lesson. A few facts may surprise you, like did you know that VISA card numbers ALWAYS start with the number 4? Read on! Typically a bank name appears at the top of your credit card. This represents the bank that is lending you money via the credit card transaction, not the company that processes the payments. For exmaple, your VISA or MasterCard will have a bank name at the top ... the bank is the entity lending the money and VISA or MasterCard is the processor.The exception is with American Express or Discover ... they are both the bank lending you money and the processor. 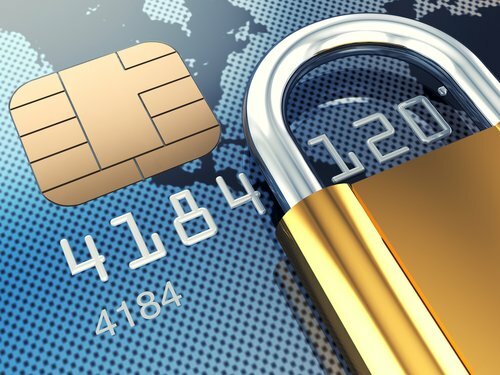 The computer chip is being phased in to United States issued credit cards to improve security and reduce fraud. The credit cards containing chips are called EMV cards. EMV cards are more secure because the computer chip generates a unique code for every transaction you make, whereas the magnetic stripe has static data that can be stolen and re-used. During the phase in, cards will have both, the computer chip AND the magentic strip on the back, but ultimately the magnetic strip will go away. The account numer is made up from a series of complex algorithms and each series of numbers has very specific meanings. The details are way too much information to go into here. However, you may be interested to know that the very first number on the card is the "Major Industry Identifier." You can tell what kind of card it is from the first number if you know that all Visa cards start with a 4, MasterCards start with a 5, Discover cards start with 6, and American Express cards start with a 3.
exactly match the cardholder name as an added layer of security. The hologram displays a three-dimensional image on the two-dimensional surface. This was introduced to help prevent counterfieting of credit cards. This indicates the last month and year the credit card can be used. Some banks include a day of the month, but typically it's just the month and year. The day (not shown) is the last day of the month. Magnetic stripes on credit cards come in three colors colors black, brown or sliver. They have up to three tracks. The first two tracks contain the card holder data necessary to complete the transactions. With the new EMV credit cards, magnetic stripes will ultimately be phased out. Credit cards must be signed to be valid. When you sign the strip it gives businesses an extra tool to guard against fraud, because they can see whether the signature on the cardmatches the one on the receipt. The signature stripe also includes the credit card security code (CVV or CIV code) on Visa and MasterCard cards. This also provides additional security against credit card fraud because you have to have the card in hand to see the code. In light of several recent major data breaches, you may have heard the term "EMV credit card" used in news reports. When it was created, EMV stood for Europay, MasterCard and Visa. 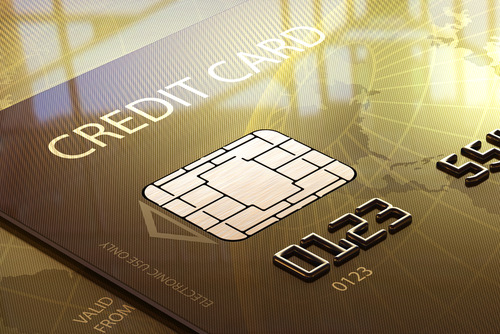 It is a global standard for credit cards equipped with computer chips, as well as technology used to authenticate chip-card transactions. Simply put, this technology better protects consumers and makes it more difficult for people to counterfeit cards and commit fraudulent activities. 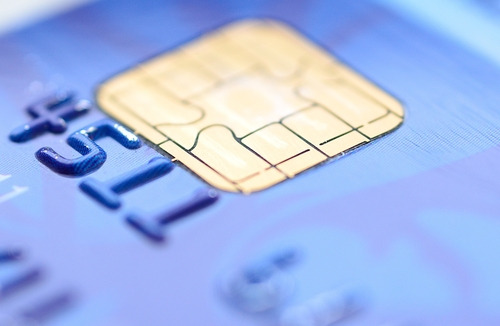 According to EMV Connection, today EMVCo manages, maintains and enhances the EMV specifications. EMVCo is jointly owned by American Express, Discover, JCB, MasterCard, UnionPay, and Visa, and includes other organizations from the payments industry participating as technical and business associates. Information on the specifications and organization is available at http://www.emvco.com. When you look at your credit card, if you see a small metallic square, that's a computer chip and it is what makes the card an EMV card. 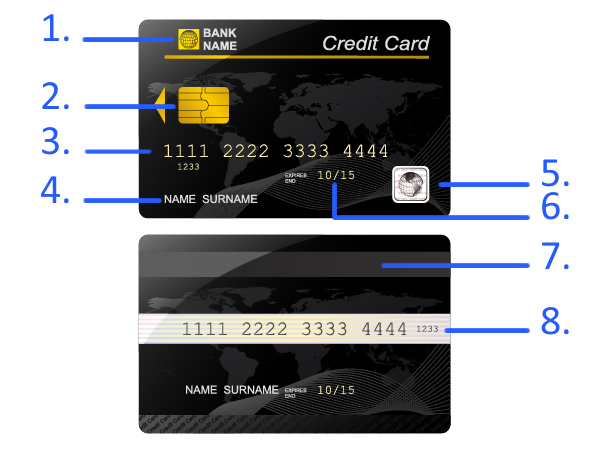 The basic difference between traditional credit cards with magnetic stripes and EMV cards with computer chips is that the magnetic strip cards hold static data and the computer chipped EMV cards hold dynamic data. If the magnetic stripe card is compromised, the data can be used over and over again because it doesn't change. This makes it easy for fraudsters to profit from stolen card holder data. For the EMV card computer chip, with each transaction, a unique transaction code is generated and cannot be used again. That means if the credit card data is stolen from a single sale or transaction, the next time it is used, the card would simply be denied because the transaction code is no longer valid. This makes it much more difficult for nefarious people to profit from stolen card holder data. For merchants and financial institutions, the switch to EMV means adding new in-store technology and internal processing systems, as well as complying with new liability regulations. For consumers, the switch to EMV means receiving and activating new credit cards and learning new payment processes. The fundamental difference in the way the cards are used is with the magnetic stripe the consumer swipes the card through a terminal for the data to be read. With the new EMV cards, the consumer will "dip" the card in a terminal slot and wait for it to be processed. It is a little slower than the magnetic stripe swipe, so consumers will need to get accustomed to it. Technology also exists called "contactless card reading" where the consumer taps the card against a terminal scanner to be read. However this "contactless" technology is not as prevalent in the United States as of today. The shift to EMV technology has already started. This first issuance of EMV cards will have both technologies, magnetic stripe and the computer chip, but will ultimately transition to the computer chip only. The deadline set by major U.S. credit card issuers MasterCard, Visa, Discover and American Express is October 1, 2015. That doesn't mean that EVERYONE is going to be transitioned by then, but what it does mean is that the fraud burden shifts on that date. Any parties not EMV-ready by October 2015 may face much higher costs in the event of a large data breach. Basically the liability will shift to whoever is the least EMV-compliant party in a fraudulent transaction. Novera Payment Solutions will continue to publish blogs on this topic because it's important for you as a merchant to be aware of your requirements and your potential liabilities. If you have questions about EMV, please don't hesitate to contact us. Our job is make the transition as easy as possible for merchants. 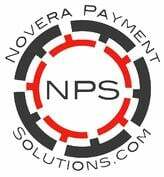 Novera Payment Solutions is a leader in the credit card payments industry. We are committed to helping businesses improve their bottom line by providing significant savings on credit card processing fees through our innovative and trasparent flat fee merchant account pricing models.